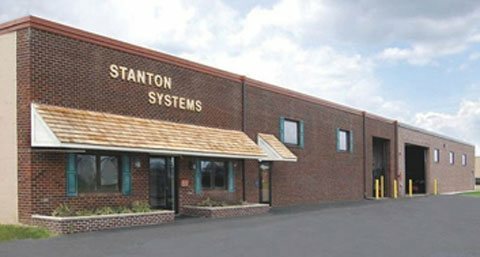 Stanton Systems, founded in 1986. Stanton maintains a fully automated tire and wheel wash manufacturing facility in eastern Pennsylvania. We do all fabricating and assembly here without the use of any products from China. We have long standing 30 year relationships with all of our USA suppliers for pumps, motors, steel, hydraulic equipment, electrical panels and steel grating. Washing Tires and Undercarriages of trucks is our only focus and we do it with pride. All of our systems are manufactured to withstand the worst abuses that industrial equipment can withstand. Manufacturing with excellence and integrity allows us to extend to our customers a 5 year warranty. 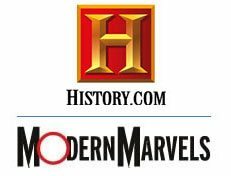 For references and treasured clients, call us today at 215-956-9800. Stanton Tire Wash and Wheel Wash Systems built in America is the Real Tire Wash Leader of Industrial Wash Systems. Stanton Tire Wash Systems is the only manufacturing company in America that can guarantee that its Tire Wash and Wheel Wash Systems can remove all mud from moving trucks. Stanton Systems is the only U.S. Tire Wash manufacturer that can offer a 5 year warranty on parts and equipment. 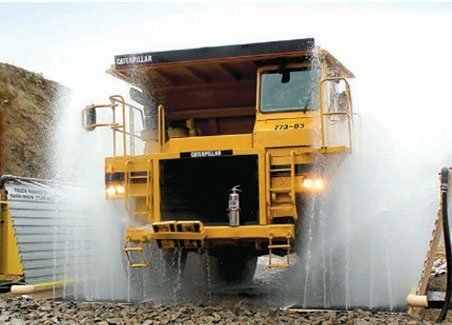 We are the only manufacturer in the world offering these exceptional guarantees for Truck Tire Washes. Stanton Tire Wash Systems has installed more Tire Wash Systems and Wheel Wash Systems in America than any other U.S. manufacturer. All installed washes in America are collectively washing over 20 million trucks a year. All parts and components of all of our systems are made in the USA. We offer a Steel Tire Wash called the Modular Tire Wash. Both Systems are installed for permanency and the modular system can be moved to other locations. Tour our site, watch our video and look at our pictures, then call or e-mail us and we will begin to fill your tire wash and wheel wash needs. Click here to see our Portable Wheel Wash and Portable Tire Wash. Click here to view information on our Tank & Artillery Wash System. 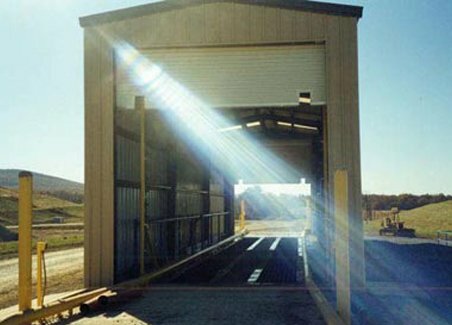 There has been an increased need in America at many industrial sites, as well as construction sites, to have a reliable wheel wash system. It is becoming imperative in many communities to have wheel washes at construction projects that track mud out on to the streets. The mud can get on the wheels and tires from rain events as well as wetting dust with water trucks to prevent fugitive dust emissions. By installing a wheel wash, many of these mud track-out problems are eliminated. By installing a wheel wash a great deal of expense can be saved. 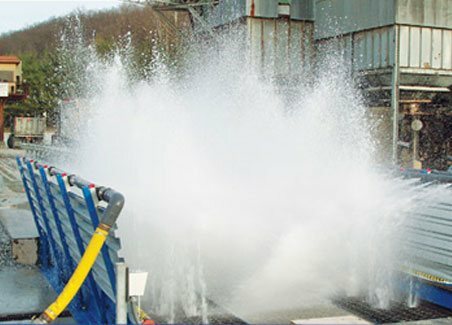 There have been several studies by construction firms that have found manually washing at a job site using the rock-bed exit method and water truck/broom washing the streets is eight times more expensive than installing a wheel wash, not to mention the fact that regulators and county officials tend to work better with contractors that appear to be responsible and sensible. Many contractors in the past have gone to the rock-bed exit method to remove mud from tire profiles. This has been the go-to effort for many years since many contractors have not realized there is a wheel wash manufacturer in America solving these problems day in and day out for the past 30 years. That brings us around to Stanton Systems, the originator and pioneers in the wheel washing industry in America. Stanton Systems' philosophy of removing mud from truck tires is that it has to be done thoroughly within the confines of the wash station. Once the truck is gone, it's gone for good and mud left on the tires will create a nuisance of cost and a liability to the general contractor as well as the owner of the construction site. 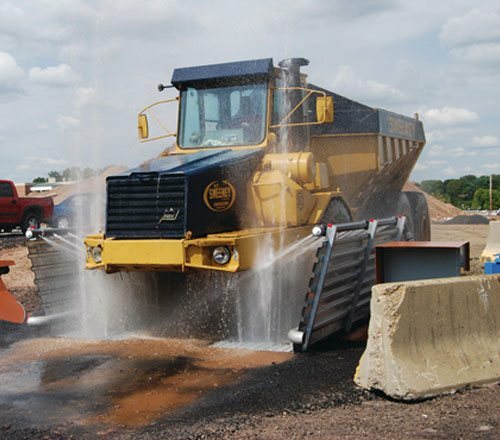 We are seeing more and more engineers specifying wheel washes for construction sites as well as industrial sites. We invite these engineers to become familiar with Stanton Systems products, innovations and services. We can be viewed and reached at Tirewash.com or Wheelwash.net. There is a sample specification that engineers can use to spec out a wheel wash for their projects. This spec can be found on the portables page of our website. This portable page also covers permanent wash systems as well. Our popular STB 30 wheel wash can be a portable or a permanent system.